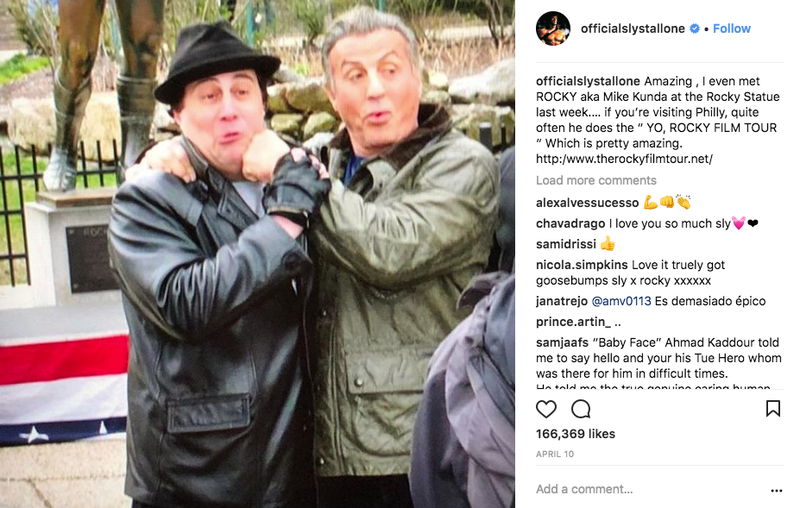 Sylvester Stallone endorses the Yo, Philly! Rocky Film Tour in a special shoutout on his official Instagram. This documentary film takes you inside Mike’s life, revealing the origins of Mikes fascination with the Rocky character and how it continues to shape his life. Check out the trailer below! 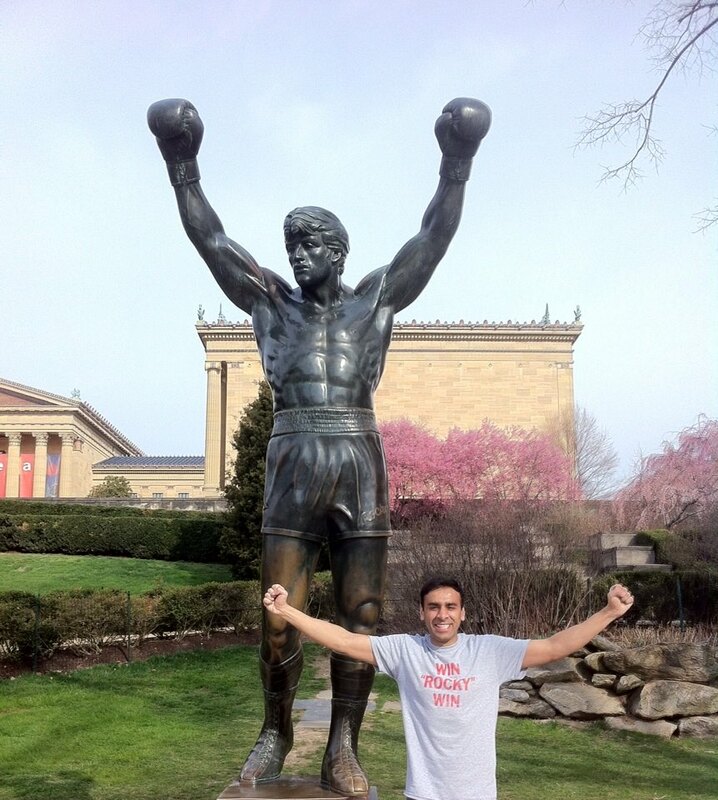 Even the locals add great color to a visit at the Rocky Statue! What a great day at the statue! Spiros and Mina from Greece! Dav from the U.K. jumping the bench from Rocky two training! Where Rocky tells Gazzo's drive, Buddy, "I shoulda broke your thumbs!" They love their Rocky tour t-shirts!! The tree where Rocky keeps his chair. 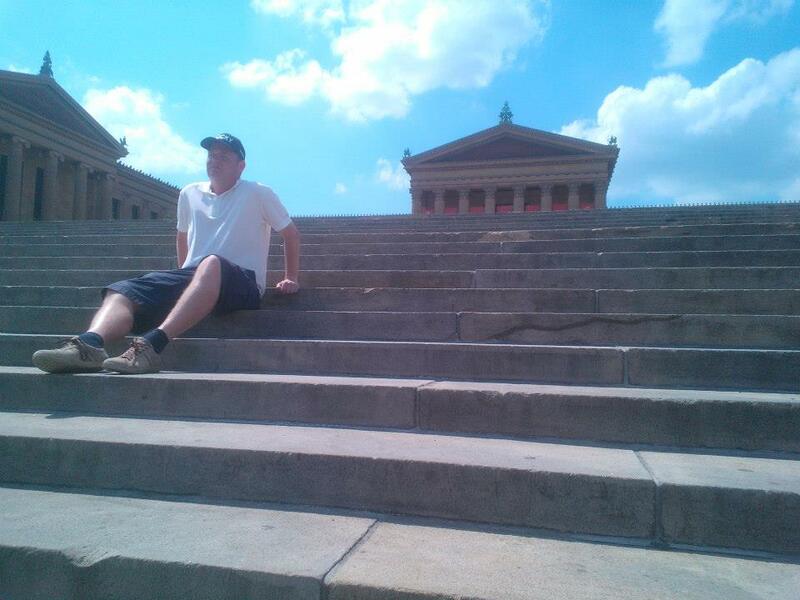 Daniel from Denmark sitting next to a very famous crack in the steps. Do you know why? 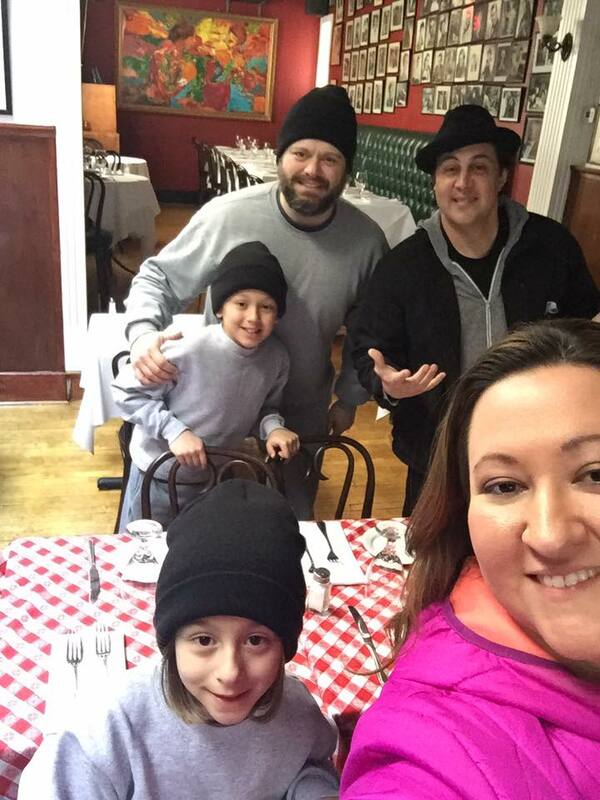 What a great family experience from Chicago! My friend Anne from Belgium at the Rocky steps! Yo, Father Carmine! Can ya throw down a blessin' for the tour? Yo! My friend from Brazil! Al and his son from Middlesborough, United Kingdom where Rocky 5 was filmed as Rocky looks up at Mighty Mick's poster on the gym. Yo, Bernard and Jay from Scotland! Great guys! 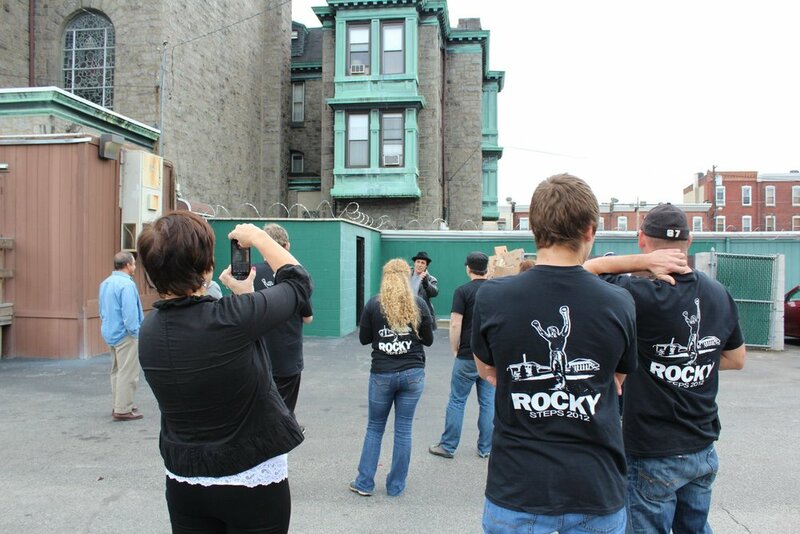 On set in Kensington with Southpaw, Rocky Balboa in 2006. The Easton Assassin, Larry Holmes had some great thoughts about the tour and how easily he would have knocked me out! Yo, Duke - remember trainin' in Siberia? A new definition to cold. A great picture for sure, though Sly has no official or unofficial involvement with this site. The same goes for all celebrities pictured. Even The Bayonne Bleeder thinks I got class! Yo, Adonis learned from Rocky right here! At The Victors (Adrian's) on Sly's 60th birthday. A great talk for twenty minutes. Changed my life. The bridge from Rocky 2. Below the tracks he ran. A must see for any Rocky fan! 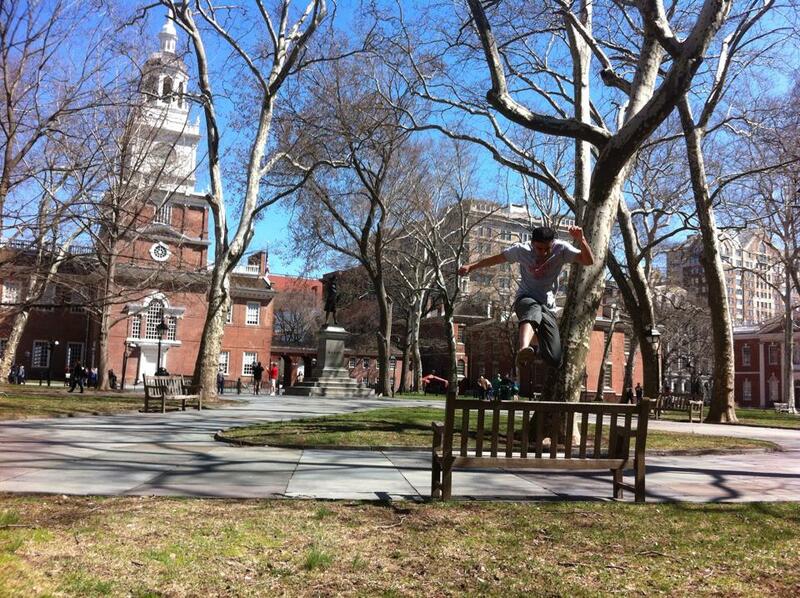 Is that where Rocky hung his hat and coat? These numbers almost add up to nine. 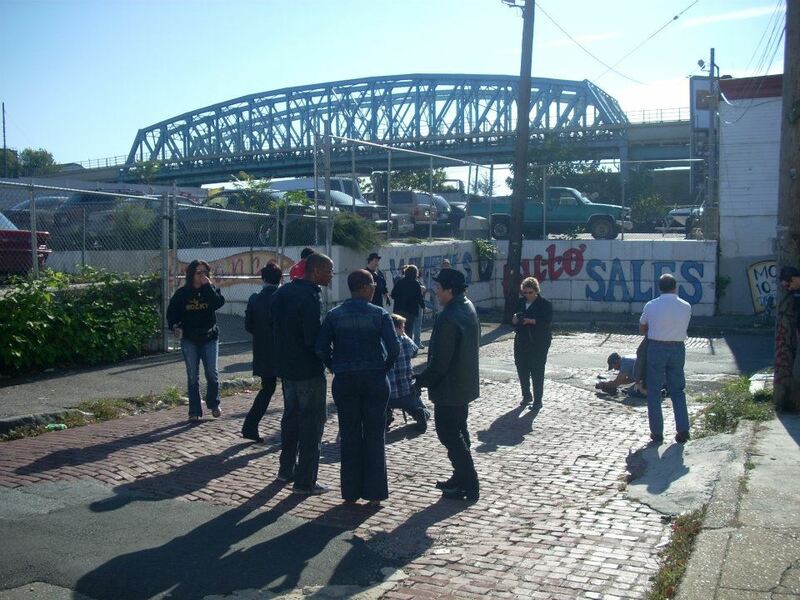 A new location from CREED! Ya see? That's where he told Mick he can train him. Brazil brings it in front of Rocky's apartment! Gettin' ready for a Beast aftershave commercial! Mick, is that you shining down? Where Rocky kept his hat and jacket while greeting customers at Adrian's. The Victor Café was used to film all interior scenes of Adrian's. Yo, Spider Rico can still hit! Spoke at length of his involvement with the movie franchise. Great guy! Marco from the U.K. at Micks gym! Claudio, a guard at the Vatican in Rome on the steps of Mighty Micks! Yo, Father Carmine! You home? 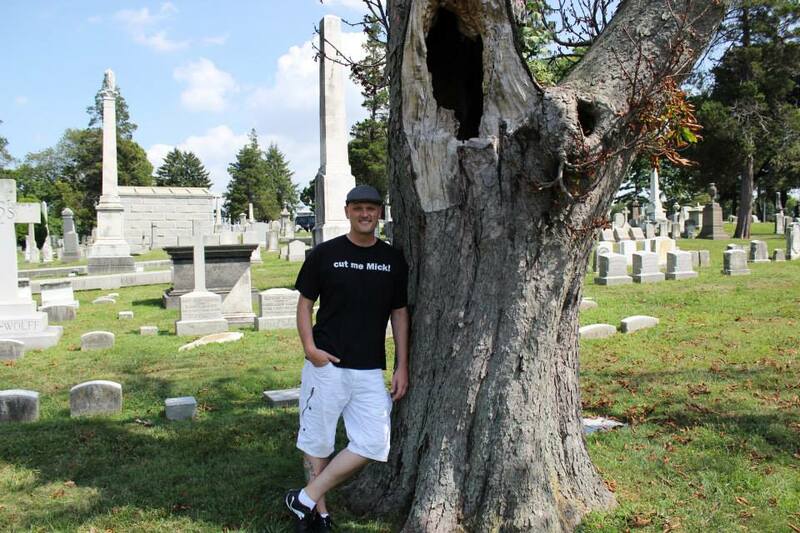 First look at Paulie's grave.